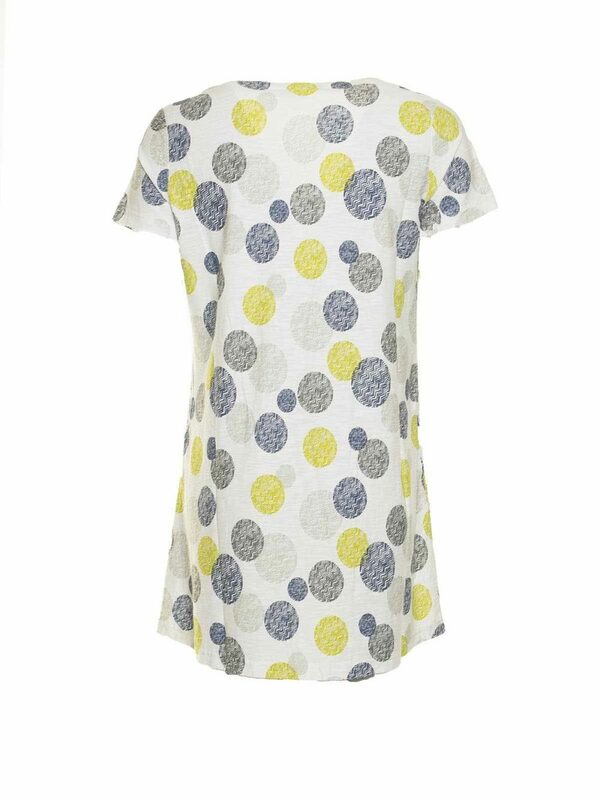 Capri green circle print cotton tunic. 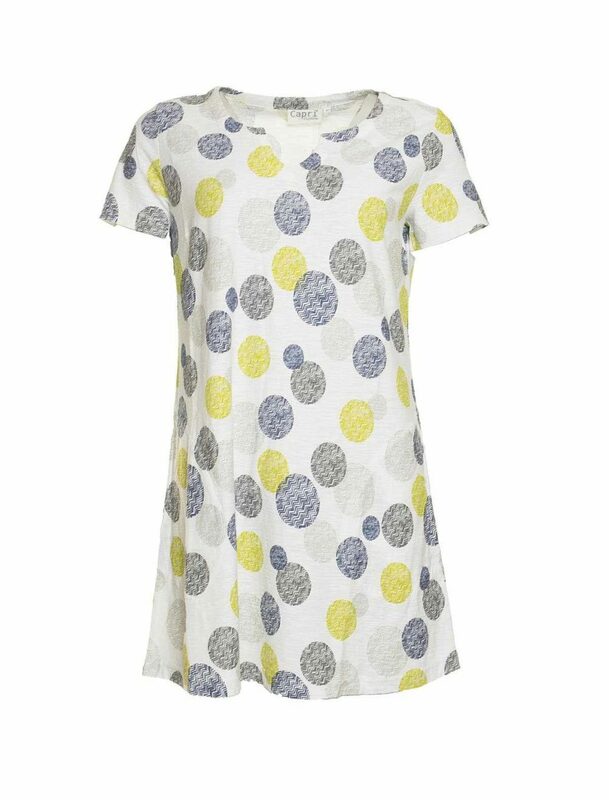 Katie Kerr Capri green circle print Tunic CHV-1502. 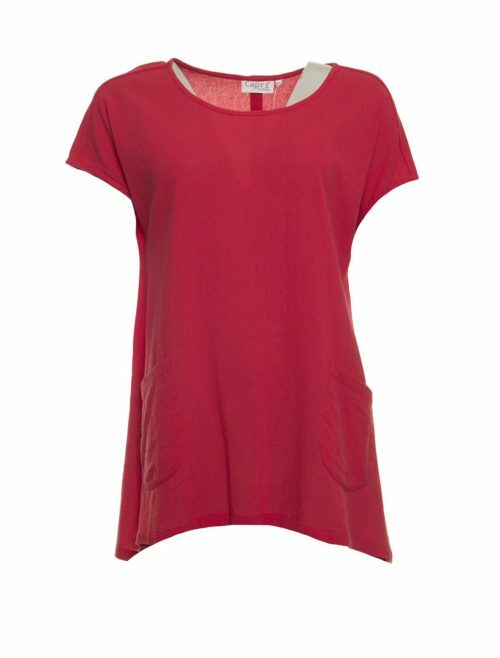 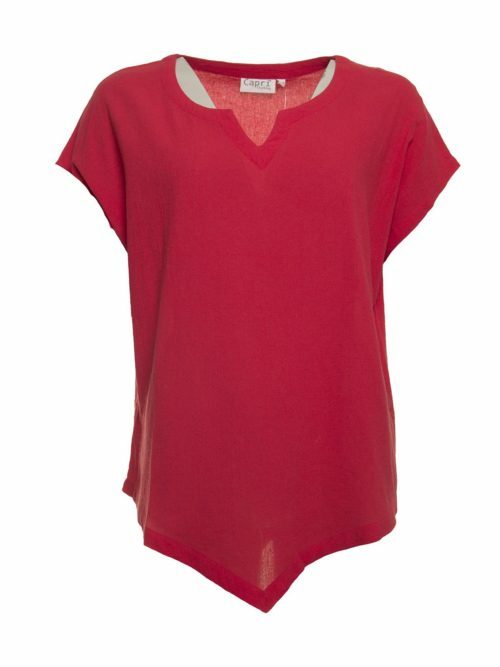 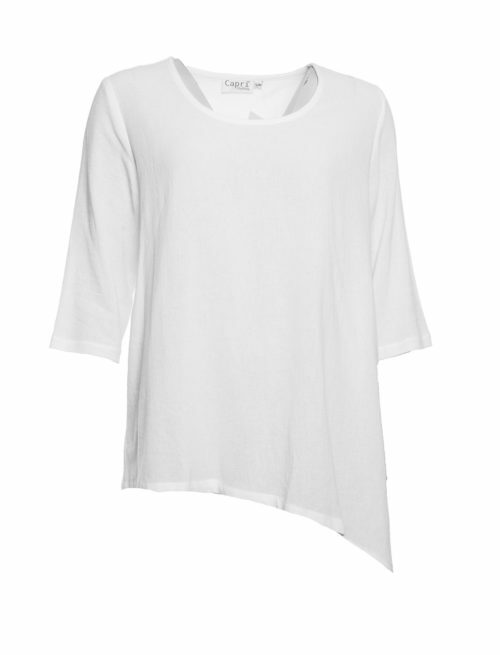 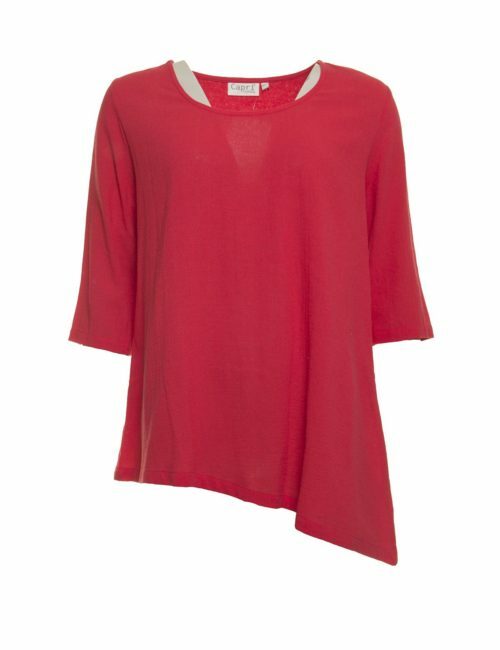 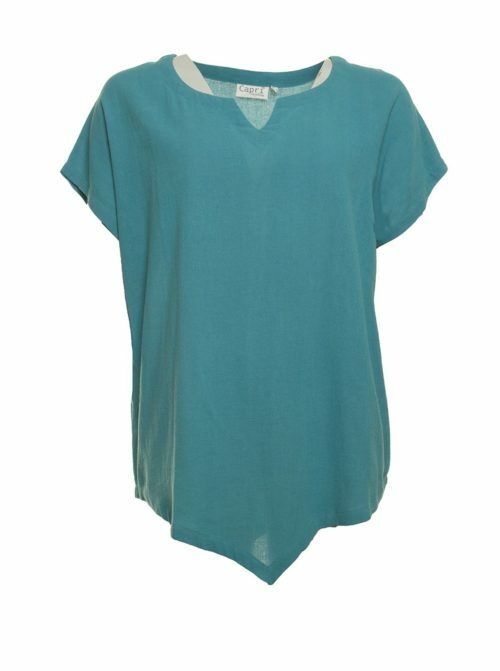 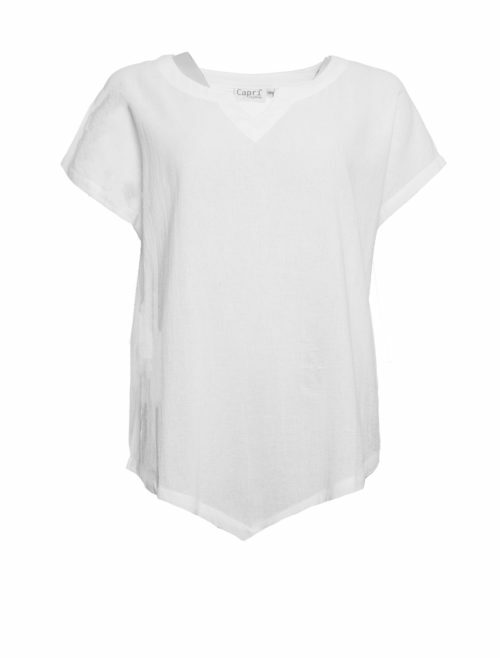 Crafted from slightly textured cotton, this lovely tunic has a slightly A-line cut for a comfortable flattering fit. 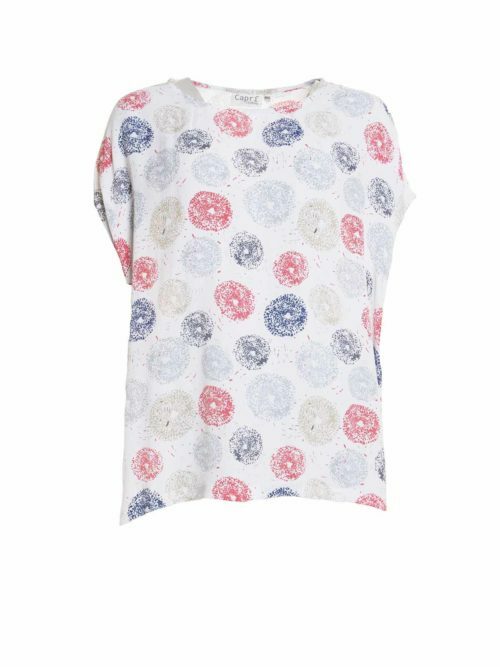 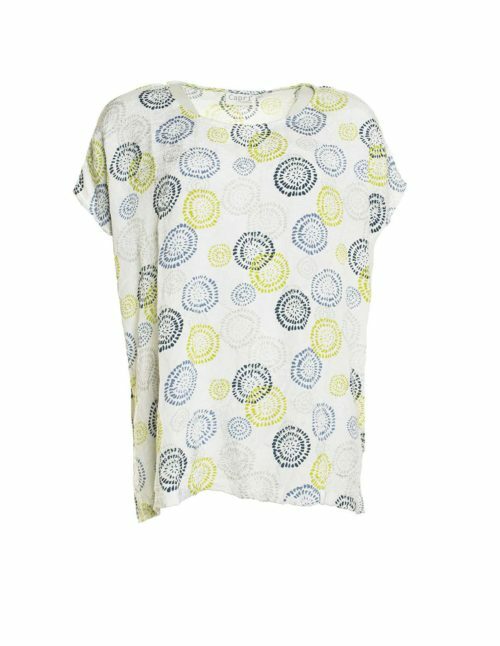 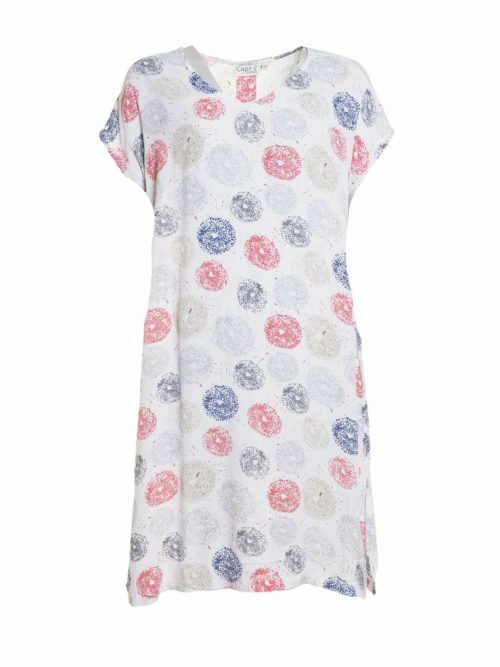 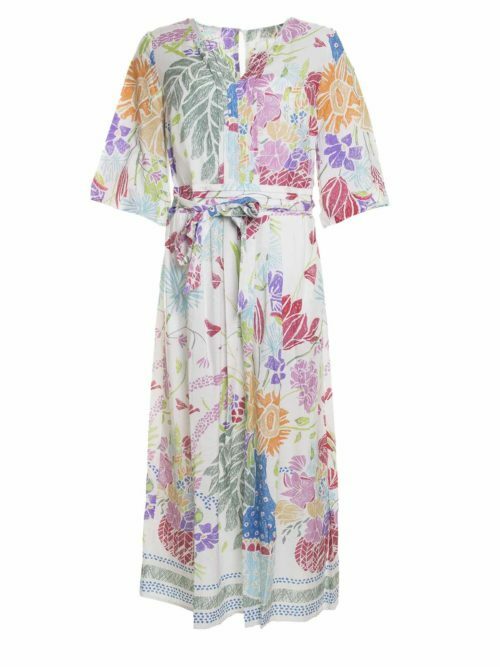 It has a notch-neck, short sleeves, scooped neck and pockets to side seams, and the colourful circle print adds a vibrant touch. 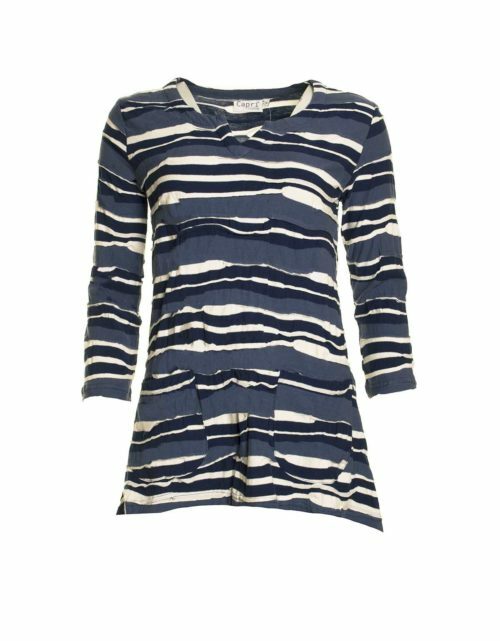 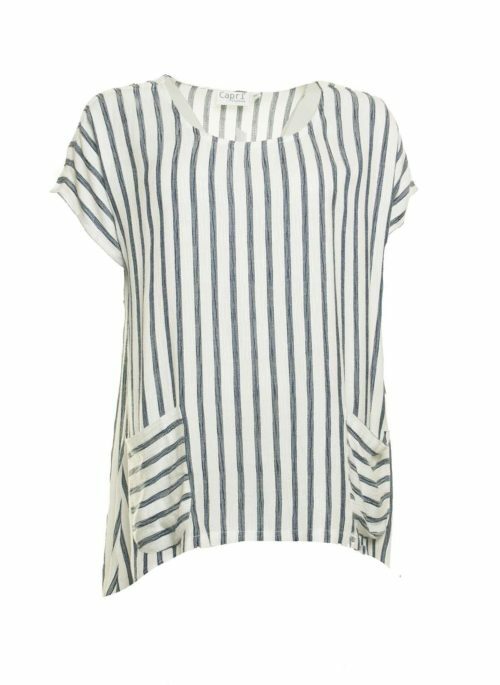 The perfect tunic to wear with a pair of Katie Kerr NYD blue jeans, or Masai’s Padme trousers in blue or white. 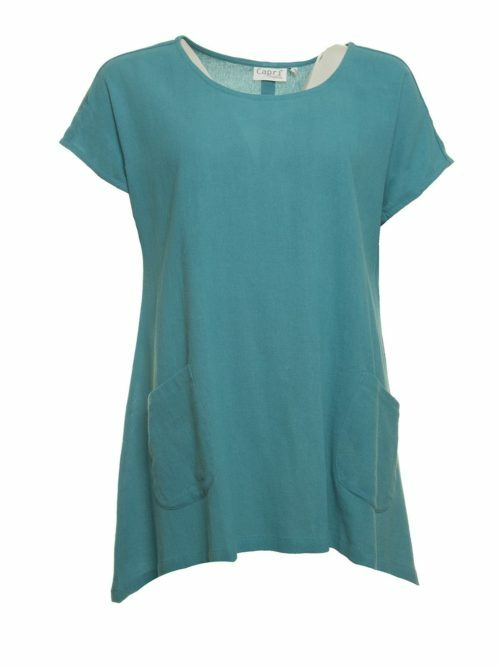 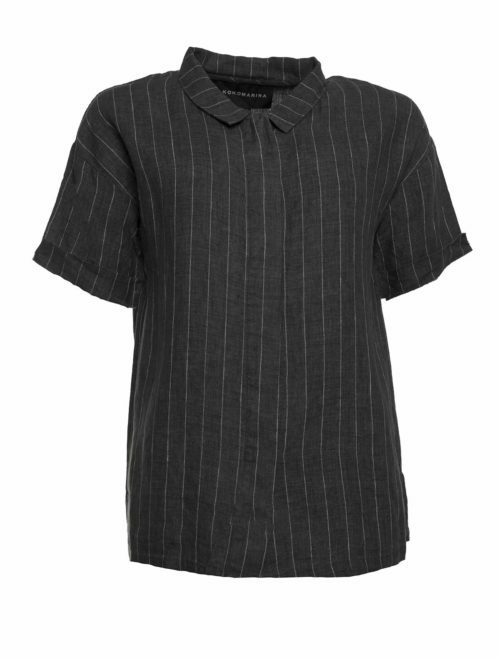 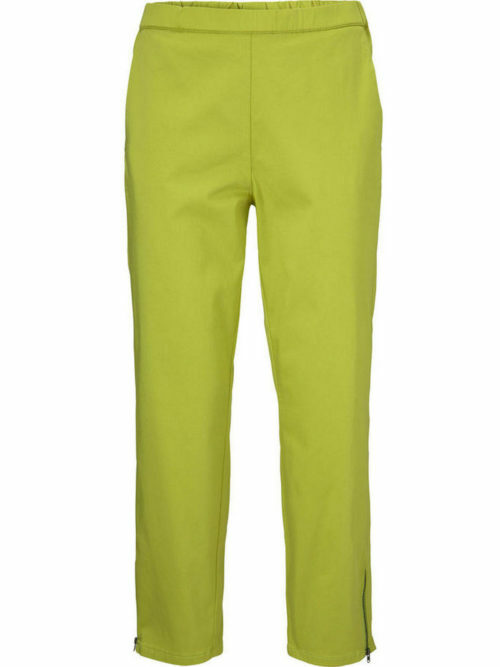 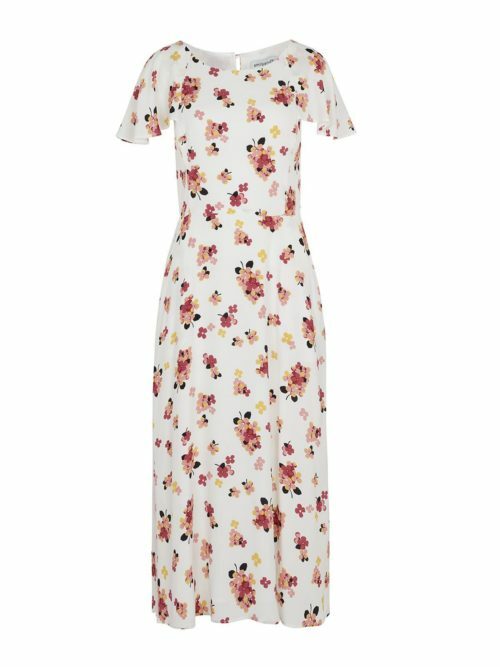 Measurements (size 10): underarm (seam to seam) 47cm; back length 82cm.